You’ve spent the last few years watching your child grow and develop. You’ve helped her through her first year at school and the school run is part of your daily routine, but she’s still developing and needs your help just as much as she did before, so how do you know where she should be developmentally and what you can do to help her? You’ll see marked differences in her gross motor skills compared to just a year ago. Her co-ordination has improved; she’ll be able to ride a bike and throw and catch a ball and may even be showing some physical aptitude. Her confidence has grown and she’ll take pride in her achievements but she’ll also be prone to taking risks, so it’s worth talking to her about safety issues such as assessing danger. Exercise is important since more of her learning time will involve sitting at a desk. She’ll have greater dexterity when it comes to finer movements; her drawings are more recognisable, her handwriting neater, she’s better with scissors and shoelaces will no longer be quite the challenge they were before. She has a greater understanding of the world around her even if she does see issues in black and white; fairness is important to her. Better communication skills make her more able to describe her experiences. She’ll discover jokes and riddles. She’s a more fluent reader and enjoying books for pleasure. She’ll have fun writing stories and sharing them with others. Her numeracy skills have improved and she should be able to count up to 200 and back from 20. The concepts of weight and height will be familiar and she’ll be starting to understand money and time. When it comes to science she’ll continue to believe in concepts like time travel, so it’s a good idea to get her to focus on first-hand investigation, using her observation and communication skills to describe the world around her. Play toys will have less attraction now than the real thing. She wants to fit in and will be looking for praise from those around her. Peer pressure is strong at this age and is potentially more influential than you. She’s better at working out differences and co-operating with others but it’s a good time to start watching out for cliques or bullying; talking to her about appropriate behaviour now can save heartache later. She’ll be more empathetic and better able to talk about her feelings. She may have some difficulty in controlling her emotions so you’ll get whining and the occasional tantrum. She may have developed a preference for playing with other girls which gives you an opportunity to talk to her about gender differences and stereotyping. 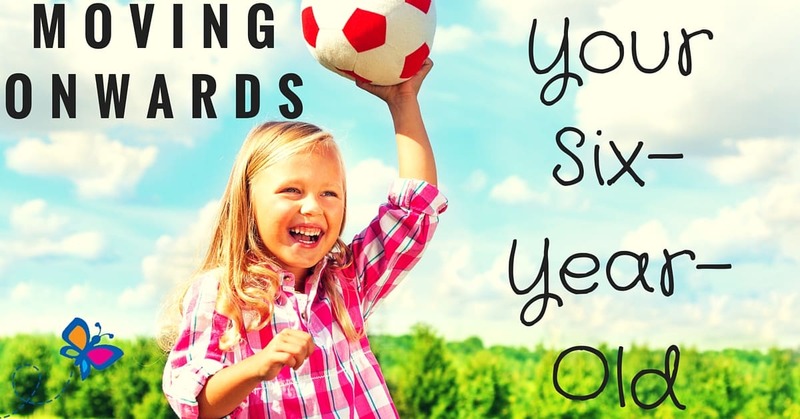 There are some simple ways you can help your daughter navigate this age. Talking to her about respect, for herself and others, praising good behaviour, encouraging effort and showing affection will help build her self-esteem. Setting clear and consistent boundaries and talking to her about the whys as well as the hows of wrong behaviour will give her the confidence she needs to resist negative peer pressure. Encouraging her to take part in team activities will hone her social skills. Academically, you may find yourself helping her with homework which can give you a chance to strengthen your parent-daughter bond . It’s hard, parenting a child who’s young enough to need your support but old enough to want to be independent, especially when six-year-olds are naturally self-centred. Patience and adapting your approach to her as an individual will enable you to help her learn and grow into a happy, well-adjusted girl with the skills to equip her for adulthood.